While we’re big fans of black here at Jawbreaker, those plain black leggings just won’t do. 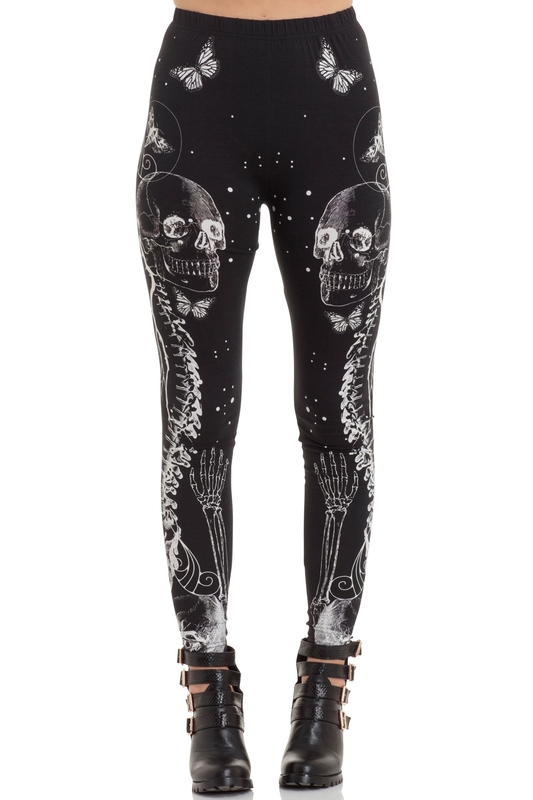 We need looks that are as bold and daring as we are, and the Illustrated Death Leggings are just that. Featuring a Skull and butterfly pattern that’s as dreamy as it is eerie, it’s a go-to Jawbreaker classic. Love the Print? Check out our Illustrated Death Dress!